HTC didn't do much to fan the flames of future Windows Phones on Friday, stating that "nothing concrete" is in the works regarding future products. HTC executives took to the pages of Reddit for an "Ask Me Anything" session that covered the company's product strategy, with regards to features like its use of the Sense UI versus its Google Play Edition. Unfortunately, the company was vague when talking about the future of Windows Phone. 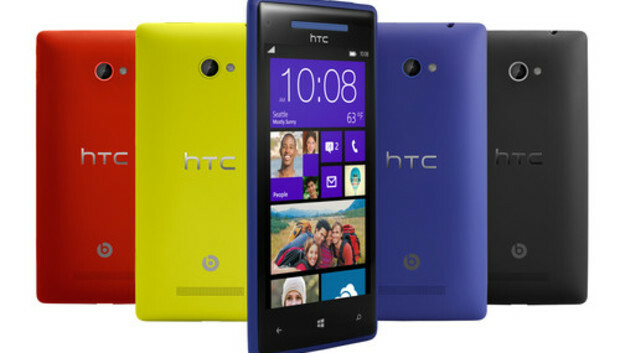 User "0157h7" asked, point blank, "Is HTC done with Windows Phone?" Leigh Momii, a product manager for HTC, weighed in. To say "done with Windows Phone" is a pretty blanket statement. I don't think a company such as ourselves can ever say that point blank. As strong partners of Microsoft, we're working with Microsoft on the Blue update on Windows Phone 8X and will continue to take new products into consideration. Nothing concrete right now, but who knows! Or, as user "jpspiderman" put it: "So far they've said that they haven't written off Windows Phone completely but that's all they've said -- no real commitment." "What he said," the HTC team replied. It wouldn't be unusual if HTC decided to put its Windows Phone plans on hold, or scuttle them completely. When Microsoft announced the $7.17 billion deal last year, IDC had just reported that Nokia made 81.6 percent of all Windows Phones sold. "Clarity helps make the market for all Windows Phones," Microsoft said, a bit of doublespeak that implied that acquiring Nokia would actually promote diversity among Windows Phone partners. That in turn prompted several analysts to question the deal and its long-term effects on the Windows Phone ecosystem. If nothing else, it appears that HTC 8X users will at least be receiving the Windows Blue update, another name for Windows Phone 8.1. But if you're looking for new Windows Phone hardware, it seems like you should stay focused on Nokia and phones like its new Lumia Icon, for now.